In previous posts we have discussed why weight loss surgery works (it changes the body weight set-point!) and why diets don’t work (they don’t change the body weight set-point), and we have shown that weight loss surgery is safe. If all this is true why is it that patients are often told they have to be at least 75-100 pounds overweight (body mass index (BMI) >35) to have bariatric surgery? Mild obesity, also know as class 1 obesity, or low BMI obesity (BMI 30-35, typically 50-75 pounds over ideal weight), can lead to serious medical problems, hinder quality of life, and shorten lifespan. Shouldn’t weight loss surgery, the only obesity treatment shown to be effective long-term, be attainable for the millions of people with low BMI obesity? We think so! The NIH guidelines for weight loss surgery, which insurance companies follow, were proposed more than 20 years ago and are now outdated. Those guidelines state that bariatric surgery can be considered for patients who have: a BMI > 40, or a BMI >35 with major weight related medical problems such as diabetes. Since those guidelines were proposed in 1991, new bariatric procedures have been introduced (LAP-BAND®, sleeve gastrectomy), the laparoscopic approach has replaced the open approach, bariatric surgery outcomes have greatly improved, and we have a better understanding of the significant danger of obesity. The American Society for Metabolic and Bariatric Surgery (ASMBS) recently published a low BMI position statement on the use of bariatric surgery for low BMI patients (BMI 30-35). 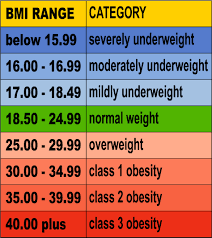 BMI 30-35 corresponds to roughly 50-75 pounds overweight. The International Federation for the Surgery of Obesity and Metabolic Disorders (IFSO) has also endorsed weight loss surgery in a position statement for low BMI patients (BMI 30-35). We have been performing weight loss surgery for low BMI patients since 2003. We have operated on 260 low BMI patients – 19 gastric bypass, 166 gastric banding (none since 2013), and 75 sleeve gastrectomy. Currently we mostly do sleeve gastrectomy for low BMI patients, but we also occasionally do gastric bypass for low BMI patients with diabetes. * Patient outcomes vary after weight loss surgery. Patients can do better or worse than the averages reported above. In previous posts we have discussed why weight loss surgery works (it changes the body weight set-point!) and why diets don't work (they don't change the body weight set-point), and we have shown that weight loss surgery is safe. If all this is true why is it that patients are often told they have to be at least 75-100 pounds overweight (body mass index (BMI) >35) to have bariatric surgery? Mild obesity, also know as class 1 obesity, or low BMI obesity (BMI 30-35, typically 50-75 pounds over ideal weight), can lead to serious medical problems, hinder quality of life, and shorten lifespan. Shouldn't weight loss surgery, the only obesity treatment shown to be effective long-term, be attainable for the millions of people with low BMI obesity? We think so!